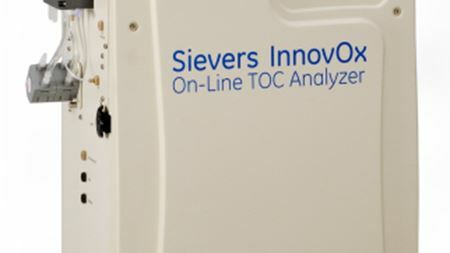 GE recently announced that it has made significant improvements to its Sievers* InnovOx Total Organic Carbon (TOC) Analyzer. 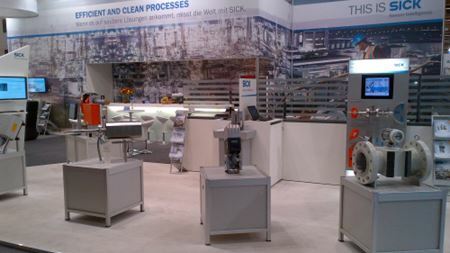 SICK showcased its solutions for process technology with its slogan “Efficient & Clean Processes” at ACHEMA. Porvair Filtration is manufacturing efficient solutions for some of the world’s largest aerospace programmes. The membrane and module manufacturer from Wiesbaden presented its three strategic pillars at the ACHEMA 2015 in June. Online booth reservations available for International Engineered Fabrics Conference & Exposition May 2-5, 2016 in Boston. Simulation software BioSC® PredictTM enables instant switch from batch to continuous modes. A Pall Aria water filtration system is providing clean drinking water to residents of Grande-Saline, a remote village in northwest Haiti. The new metal filter cloths were released this week at ACHEMA. Johns Manville has officially opened a new state-of-the-art polyester spunbond production line at its facility in Berlin, Germany. Aquarion Group announced the introduction of ZLD.eco2 at ACHEMA 2015. The new Hi-Flo II is a new and enhanced version of Camfil's award winning Hi-Flo low energy air filter. Atlas Copco has launched the UD+ coalescing compressed air filter, which combines two filtration processes in one product. GEA has launched its new group structure developed as part of its “Fit for 2020” initiative. Filtration Services have developed a unique precoat automatic knife advance system [AKAS]. Imerys Filtration Minerals Inc is increasing its prices for products shipped within North America from 1 July 2015. Envirogen Technologies Inc is to start providing water treatment and management solutions for food and beverage processors in North America. Xylem unveils oxidation-enhanced biologically active filtration system for drinking water. LiqTech International Inc has signed a three year agent agreement with a Chinese company to promote and sell its diesel particulate filters (DPF) in China. Phenomenex Inc introduces 2.6µm and 1.7µm EVO C18 particle sizes, expanding the company’s Kinetex core-shell column family. Chemical group Solvay is to use Neptune Benson’s H2F Vortisand® filtration system for industrial water polishing. Porvair Filtration Group has added an enhanced range of microbial rated disposable cartridge filters to its range of liquid filters. Ovivo Inc is to supply a polishing demineralization water system for a power generation plant in Southeast Asia.